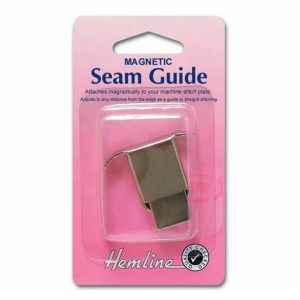 Attaches magnetically to your machine stitch plate. Adjusts to any distance from the edge as a guide to straight stitching. 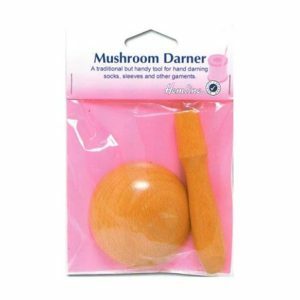 A handy tool for hand darning socks, sleeves and other garments. 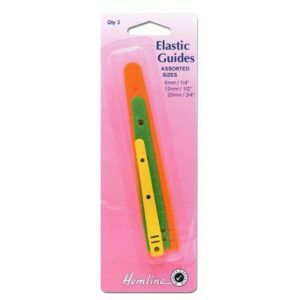 Elastic Glides. 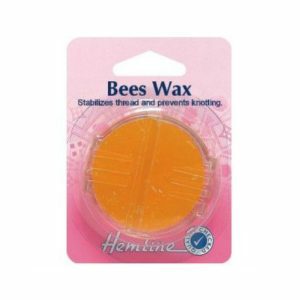 Excellent aid for threading various widths of elastic through shorts, pyjamas and swimwear. 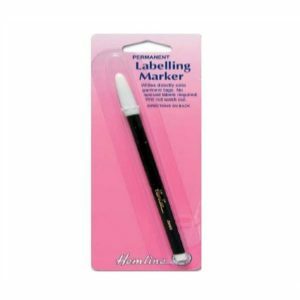 Prevents twisting and keeps elastic taut. 3 different widths – 6mm, 12mm and 20mm. Miniature Latch Hook Draws Snagged Threads To The Back – Ideal For Knits. 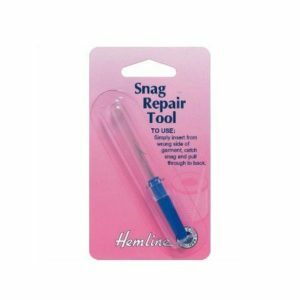 To use, simply insert from the wrong side of garment, catch snag, and pull through to back. 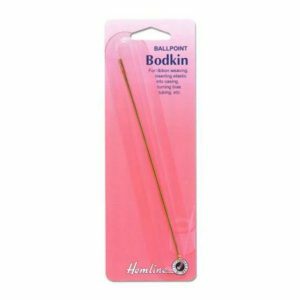 Ballpoint Bodkin. 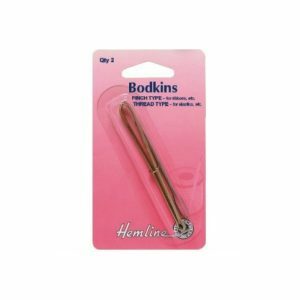 Long metal bodkin with rounded end for threading ribbons, elastics and more. Also useful for turning bias tubing, waistbands, etc. Tailor’s Awl – Stiletto with plastic handle. 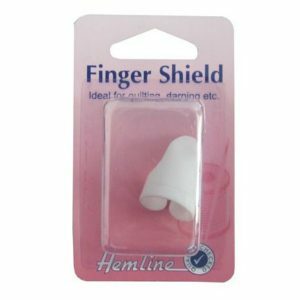 Excellent for making holes when using rivets, snaps and eyelets. 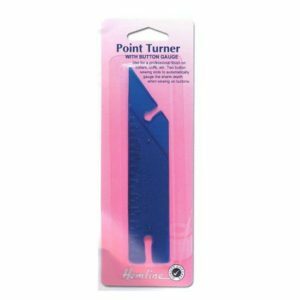 Point Turner. Gives a professional finish to collars and cuffs. 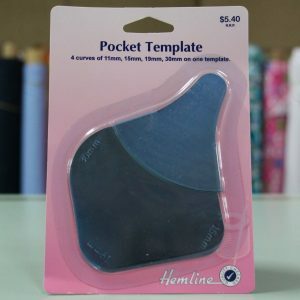 Use to form crisp points and well-shaped pocket and garment turnings by gently shaping from the inside. Incorporates a Button Gauge to measure button shanks. The button hole spacer determines the spacing between buttonholes and the size of the buttonhole. To measure the distance between buttonholes, slide the horizontal ruler up or down. 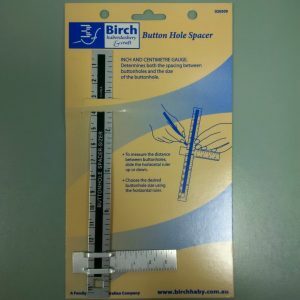 You can choose the desired buttonhole size using the horizontal ruler.